VISUALIZE being a winner… this is what PRISM is doing with it’s current self-promotion piece that’s being honored in the “Perfect 10” for Neenah Paper’s CLASSIC® Car Contest. 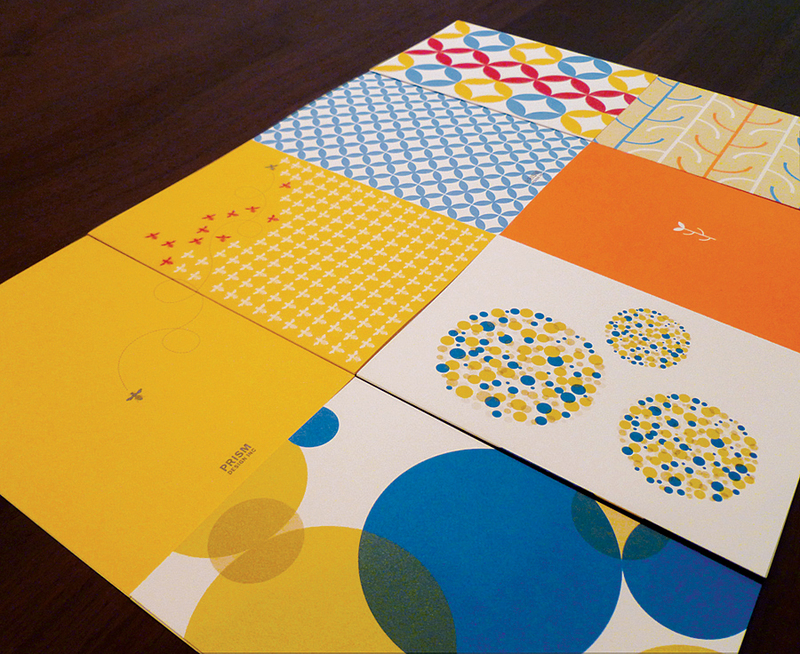 One of our goals for this project was to use color, pattern, and words to enhance the paper we chose. We brainstormed four “IZE” words to compliment PRISM’s ability to VISUALIZE: MODERNIZE, GLOBALIZE, FERTILIZE, and SOCIALIZE. The words were laser cut into sleeves allowing graphic imagery to peek through. 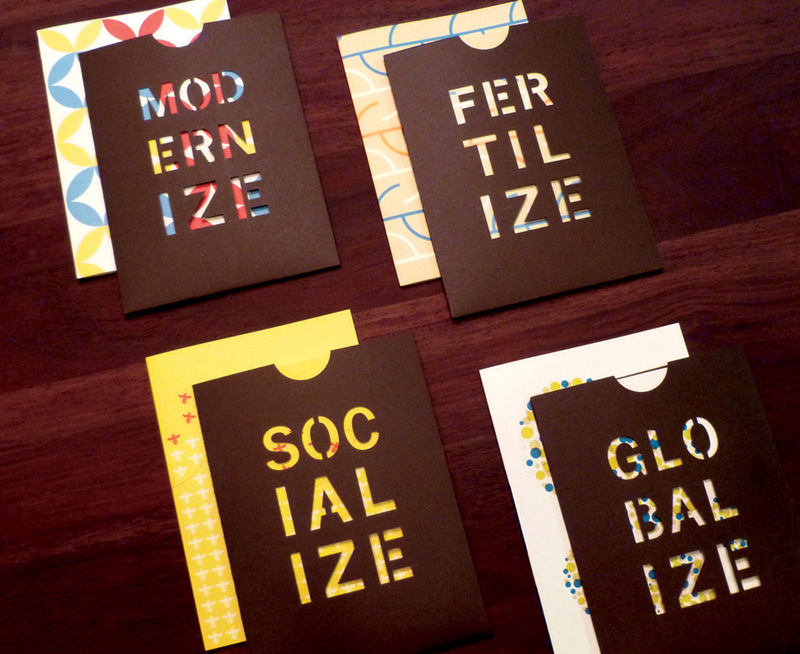 Inside each sleeve is a graphic note card designed to “VISUALIZE” each IZE word. Distinguished award: ability to creatively combine CLASSIC Papers, design and printing with style! What we won: $500 greenbacks + kudos galore. You can see a picture of us on the Neenah Blog – Against the Grain. Acceptance Speech: Thank you Neenah Paper! And thank you Becky Chaffin with OK Paper for getting us to enter. Kudos to Laser Cutting Shapes, and David Felts with Wrights Printing. This entry was posted on August 20, 2012 at 9:00 pm and is filed under Branding, graphic design, Illustration, Packaging. You can follow any responses to this entry through the RSS 2.0 feed. You can leave a response, or trackback from your own site.